For over a decade both girls and boys have been enjoying the thrills and life lessons experienced through the South African Scouting Movement. In light of Women’s Day we are shining the torch on some of the remarkable women that are active our country. Dr Ingrid W ebster (36) has a doctorate in Medical Physiology and is renowned for the ground-breaking cardiovascular research her team does at the University of Stellenbosch. Yet, she still finds time to invest in children and youths throughout the Western Cape as an Adult Leader within SCOUTS South Africa. We spoke to her about her Scouting journey. 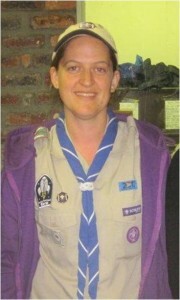 “I was born in Durban and at the time Scouting was only for boys, so as a child I was a Brownie and a Girl Guide. After high school I moved to Stellenbosch where I studied and got my doctorate. “Scouting is special to me as I don’t have children of my own. Leading a group of children gives me the opportunity to see the world from their perspective. 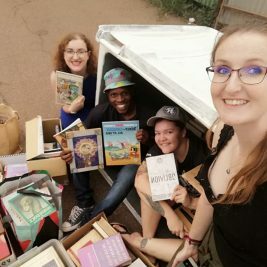 Their creativity, zest for life and enthusiasm for the activities we do is fantastic and I get a lot of joy out of being in that environment. I strongly believe that both boys and girls benefit from the positive peer pressure, physical outdoor activities and the interaction that Scouting provides. In Scouting you learn to interact with people from different genders and all walks of life in a safe environment where peers lead by example and resolve possible conflicts constructively. I also want to stress that as a busy professional Scouting opens doors for you to meet like-minded people and a huge base to draw from as friends. If I need advice from a lawyer, environmentalist or engineer I know many of them through the Scouting Movement. Scouters are very special people as they are always willing to help out when you need them,” she explains.